Welcome to Health and Safety Training Solutions! Servicing the construction industry in Ontario by providing Certified Mandatory courses and customized Health and Safety Programs. Additionally we offer Consulting services to meet your customized needs. Here are just some of the courses we offer…… Working at Heights, Elevating Work Platforms, Asbestos Abatement Worker, Asbestos Abatement Supervisor, Asbestos Awareness, Forklift class 4, 5 and 7, Skid Steer, Mini Excavator, WHMIS, Supervisor Training, Chainsaw Safety, Lock and Tag, Hoisting and Rigging, First Aid / CPR (Red Cross) plus many more. 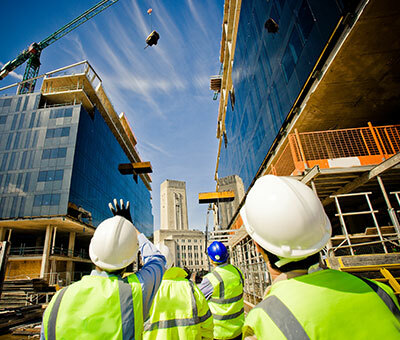 Our training offers a unique approach dealing with situations in the constructions sector. We have over 25 yrs construction experience. ON THE JOB SITE! Receive training from someone who knows the realities and challenges faced in the construction industry today. Certified trainer of Working at Heights! Our Professionalism and ability to relate to the trainees has made us one of the preferred trainers for employment agencies. Employers appreciate our ability to communicate safety as a joint responsibility between both the employees and the employer. Also appreciated is how we demonstrate that safety does not have to decrease productivity!